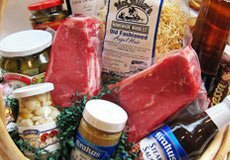 Gene’s carries over 40 varieties of homemade natural wood-smoked tasty delicacies. Check out descriptions of our favorites! Piled high with imported European goodies, our beautifully handcrafted baskets are the perfect holiday gift for the food lover! 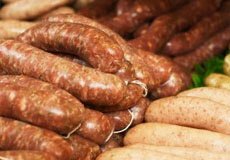 With a full delicatessen, fresh produce, dairy, imported European gourmet foods, bakery, liquor, beer and wine, we’re so much more than a sausage shop. A tasty gift for any occasion! Stop in our Lincoln Square location and pick up a gift card today. Gene’s is Celebrating 9 Years in Lincoln Square!!! Our 9 Year Anniversary is here! Join us this weekend to celebrate a total of 46 years in business and 9 happy years in Lincoln Square! 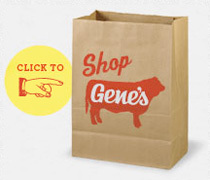 Visit Gene’s this weekend for in-store tastings and sales specials galore! We thank our wonderful loyal customers for their continued patronage, smiles and support. We look forward to serving you for many years to come. We also thank our amazing employees, their enthusiasm and dedication to helping our customers is such an important part of our success. See our Facebook page for a schedule of events! 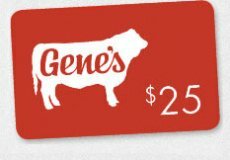 Spring is here and Gene’s is showering its customers with Easter savings! 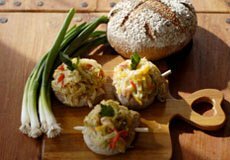 Try Gene’s Homemade Easter Table Sides! Don’t forget to pick up your Easter Butter Lamb!! $2.99 ea. Imported Hand-painted Wooden Easter Eggs Available!! $2.99 ea.